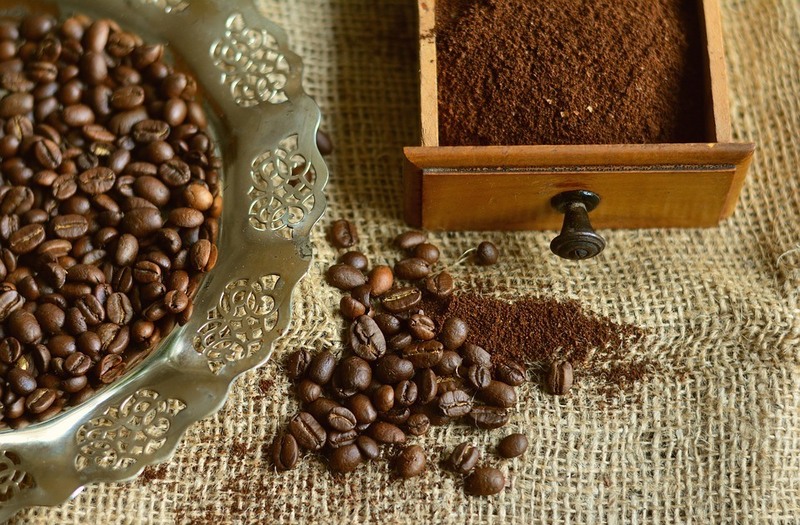 » How to Use Coffee Grounds for Gardening: Boost Your Garden’s Growth Naturally! 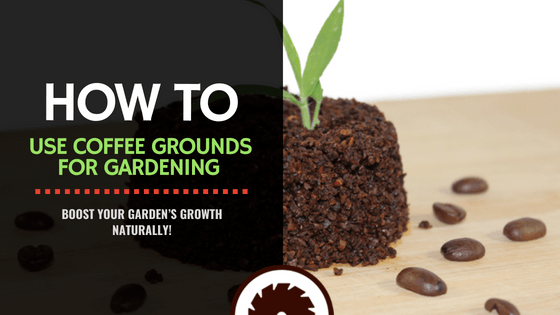 How to Use Coffee Grounds for Gardening: Boost Your Garden’s Growth Naturally! Whether you are a coffee drinker or not, coffee is undoubtedly one of the most popular and easiest beverages to make on your own at home. Nevertheless, brewing coffee often leaves behind coffee grounds, unappealing dregs that most of us dump into the trash immediately. In this guide, we’re going to show you some useful ways to use coffee grounds for gardening and several tips and tricks to get the best results. Let’s check it out and make your garden thrive! Coffee is arguably one of the most appreciated and popular beverages all over the world due to its refreshing and stimulating taste. As a result of this huge market, the industry is producing a large number of residues; among which, the most considerably produced is coffee ground, a thin tegument of the coffee beans’ outer layer that is obtained after steaming for instant coffee or brewing coffee powder with hot water. It is estimated that approximately 7 million tons of used coffee ground waste is generated annually worldwide, which represents a serious pollution hazard when they are discharged into the environment. 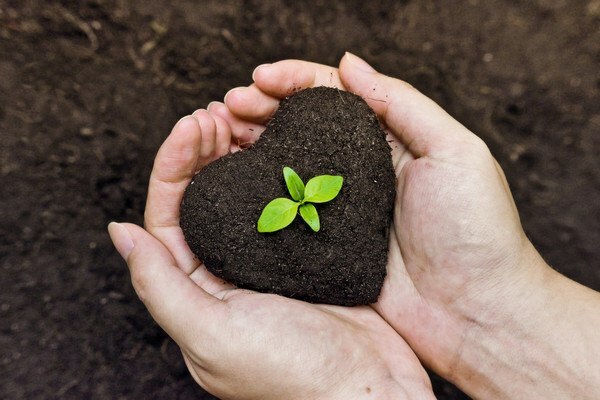 However, more and more gardeners and professionals increasingly recommend using coffee grounds as a sustainable way to improve soil structure, enhance fertility, and provide essential nutrients to the plants. In fact, many professionals consider it an effective, natural, safe, and sustainable way to boost garden soil and maximize plant growth. In general, coffee grounds are sugar-rich, lignocellulosic materials which are comprised of high levels of total dietary, soluble, and insoluble fibers. As a result, they have many useful functional properties including emulsion stability and activity, oil holding capacity, water holding capacity, and antioxidant potential. Nitrogen-rich proteins required for seed growth and germination comprise nearly 15% of coffee grounds. Indeed, the nitrogen-to-carbon ratio in coffee grounds might be as low as 1:11, an ideal ratio for soil nutrition and plants. Since people extract coffee in water, most of its hydrophobic compounds such as lipids, oils, fatty acids, and triglycerides, chlorogenic acid remain in the wastes, as do other insoluble carbohydrates such as sugars and cellulose. After several months in the soil, specialized fungi and bacteria break down chemical components in coffee grounds, which results in important improvement in soil structure. The process of composing and decomposing allows coffee compounds to be reutilized in gardening by providing soil property benefits as organic amendments like compost, vermicasts, biochar, and manures. These amendments play an essential role in nutrient provision (especially nitrogen), plant growth, holding capacities, water infiltration, soil structure improvement, and pH balance. Where Can I Get Free Coffee Grounds? As you can see, coffee grounds can be used for a variety of purposes in your garden, but where can you get these wastes if you are not a coffee consumer? Don’t worry. There are many places you can track down for some free grounds. Since grounds are just a by-product of coffee, all you need to do is to make a call to the local coffee shops and ask for picking up these wastes. It’s good to know that Starbucks offers a program named Grounds for Your Garden since 1995, which gives gardeners their used coffee grounds based on the first-come-first-service basis. But make sure that your local codes allow this. Depending on the popularity of your local gas station, it can be a great place for early morning commuters and tired drivers to have a short break and enjoy a cup of coffee while filling their vehicles. Therefore, there might be a lot of coffee grounds that need to be disposed of, making it an excellent chance for you to ask for these free source of nutrients for your garden. In most major offices, it is always easy to see a pot of coffee brewing in the cafeteria, no matter which time of the day. Thus, you would bring in and place a small trash can equipped with a removable liner near this area so that people can dump in the grounds. When appropriately used, coffee grounds from freshly brewed coffee might bring many benefits to your garden. 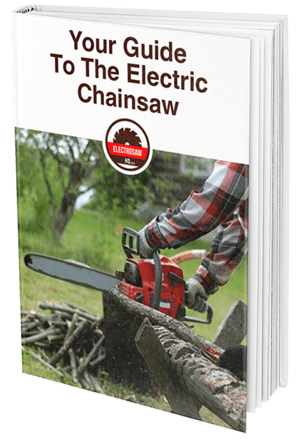 In fact, many gardeners find this is a natural, practical, and safe method to boost their plant growth without using harsh pesticides or chemicals, boost berries and blooms, and keep away snails and slugs. Adding coffee grounds to compost piles with other garden and kitchen wastes is probably the simplest way to utilize them. Doing so will increase the levels of nitrogen in your soil, which is essential for the photosynthesis of all plants in the garden. Keep in mind that a compost pile needs an equal amount of green and brown material to benefit your plants. Brows such as waste papers, sawdust, and dry leaves provide carbon and prevent foul smells in your garden, while greens add nitrogen, moisture, and essential nutrient to the dump. In spite of their brown color, coffee grounds are green materials similar to weeds, manure, old food, and grass cuttings. In general, the ideal green-to-brown ratio is 1:4. Without this balance, a compost pile might not break down and start to have a bad smell. One worry when adding too much coffee grounds is that they might make the compost piles and soil too acidic. Fortunately, it is easy to remedy this by sprinkling some wood ash or lime over a ground layer. Also, it’s better to limit the number of coffee grounds no more than 10% of the compost pile’s volume. Step 1: Put 1/3 coffee grounds, 1/3 grass clippings or flower stems and 1/3 dried leaves in a bin for making compost. If you do not have enough grass cuttings or leaves, consider using shredded paper filters. Step 2: Use a pitchfork to mix these carbon-rich organic matters and coffee grounds thoroughly. 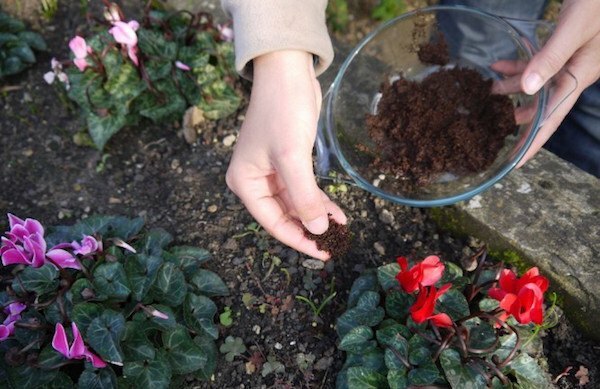 Step 3: Make sure to let the compost develop an earthy aroma and soil-like look before spreading in your garden. It often takes three months or longer for a compost pile to break down entirely, depending on the used materials. Step 4: Place a small tarp on the ground and spread out the compost to let it dry. Step 5: Use as much as 5 inches of the compost each year for the soil in your vegetable garden. Make sure to work with the compost by a pitchfork or shovel. In case you do not have enough organic material to amend the whole garden, it is advisable to place a handful of compost on each seed furrow or transplant hole. During its decomposing process, coffee grounds produce a significant amount of nitrogen, one of the three essential macronutrients for the growth of every plant. Leafy vegetables such as cabbages and spinach specially develop well with an extra amount of nitrogen. In general, many gardeners often mix coffee grounds with crushed eggshells and use it at the plants’ bases or combine with seeds. This will create a slow-release fertilizer with phosphorus and calcium in eggshells and nitrogen in coffee grounds, which allows for a better harvest. Being entirely organic, this is a safe and effective alternative to pesticides. When appropriately incorporated, coffee grounds can significantly improve the organic content and texture in the soil. This is mainly because their acidic characteristics help to reduce the level of pH, making the soil aerated and loose over time. It is especially beneficial for the clayey soil which is often heavy and alkaline. However, avoid adding coffee grounds for grass in thick layers because it can make the soil compacted and impermeable to water. In general, you should spread one inch the entire surface with the help of a rake. After several days, use a rototiller to till the grounds deep in the soil. If you water your garden by tap water, chances are the acidity from coffee grounds can be neutralized by the high level of alkaline. In this case, you can amend acidity easily by adding dolomite or wood chips to the soil. With sharp and irritating particles, using coffee grounds for garden pests is another great application of these wastes. By spreading or sprinkling dry grounds around the area, you might prevent soft-bellied creatures such as snails and slugs from damaging your plants. These harmful pests typically dislike caffeine, thus having coffee grounds around the garden can be an effective way to keep your veggies or flowers safe. 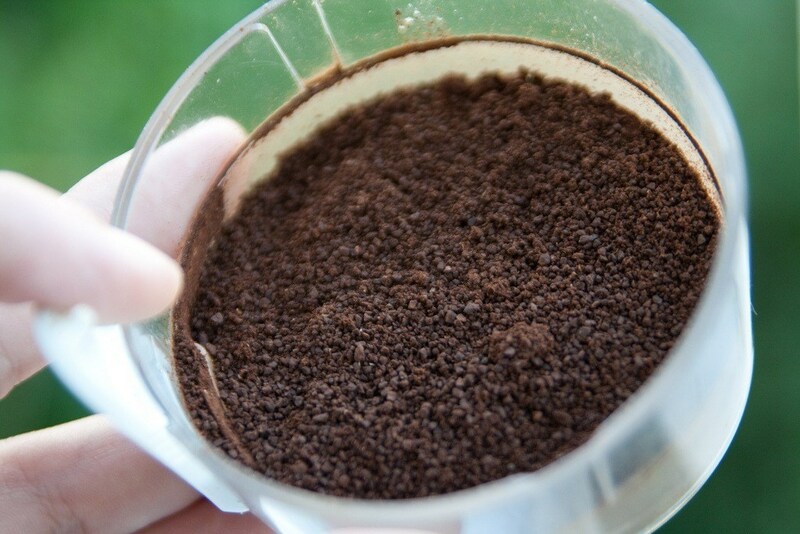 Repeated applications are necessary as coffee grounds can break down quickly in the soil. Since coffee grounds contain a lot of nutrients, they can be an attractive option to earthworms in the garden soil as well as the night crawlers and red wigglers in the worm bin. In turn, earthworms help carry these particles deep into the soil, which results in an even distribution of nutrients. You can add the dry coffee grounds directly to the vermicomposting bin after slightly dampening it, or dump the disposable filters with the residues. The worms can eat shredded papers, so they often see the paper filters as a treat. In some cases, soaking the cardboard and papers with weak coffee might make it more delectable to the earthworms. It is easy to extract this liquid from the coffee grounds with warm water. If you have a lot of coffee grounds, it is useful to use them as mulch around the garden. Due to small sizes, these wastes tend to get compacted after application. Thus, you should avoid applying in thick layers to ensure the proper air circulation and drainage. It is best to combine the grounds with other inorganic or organic mulches which have larger sizes. Which kinds of plants benefit from coffee grounds? Long before common aspects of gardening like pH or acidic became wildly known, people often used coffee grounds for roses. Nowadays, we all know that most plants prefer soil that is a bit acidic. And that is the reasons why more and more gardeners utilize coffee grounds for houseplants, vegetables, and flowers. In general, you should use coffee grounds to boost specific types of plants because while some grow well in the minor acidic soil, while the others don’t. Plants that like acidic soil include those which grow in areas with a lot of light and rain such as lily, maidenhair fern, wild strawberry, moss phlox, azalea, camellia, and blueberry. 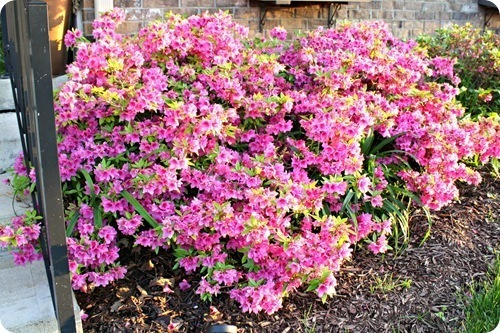 Some types of flowers also like the acidic soil resulting from coffee grounds such as lilies, azaleas, hydrangeas, and roses. More importantly, experienced gardeners understand that coffee grounds might do more than just improving the soil. In fact, you can make the flowers in your garden change to different colors just by adding grounds. Also, coffee grounds can help with the growth of your veggie beds during planting. The list of vegetables that like coffee grounds include radishes, carrots, and tomatoes. However, when applying coffee grounds in garden tomatoes, you should perform it with care. Though they might help the seeds germinate quickly, their chemical components such as allelopathic can suppress the growth if used excessively. Are you brewing a fresh pot of black coffee after reading this article? With a high level of essential nutrients like potassium and nitrogen, coffee grounds might be used for various purposes to make your gardening tasks more effective. Just with a little creativity, we believe that now you know how to use these wastes in a variety of tasks to keep a green area in your backyard. Do you have friends who are coffee lovers or love gardening? Share with them this useful guide to utilize coffee ground wastes in the vegetable garden.